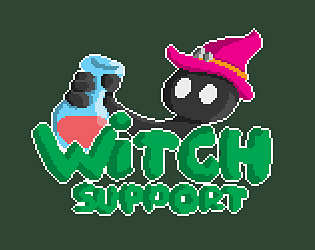 Use potions to protect your troops! Thanks for playing! Thanks for offering, I'll be ringing you :). I'd really like to move to Unity, but I hated my attempts to do 2D or pixle art in Unity, so I'd love some advice. Glad you liked it! Very cool magic system going on here, I just wished there were more things to play around with! 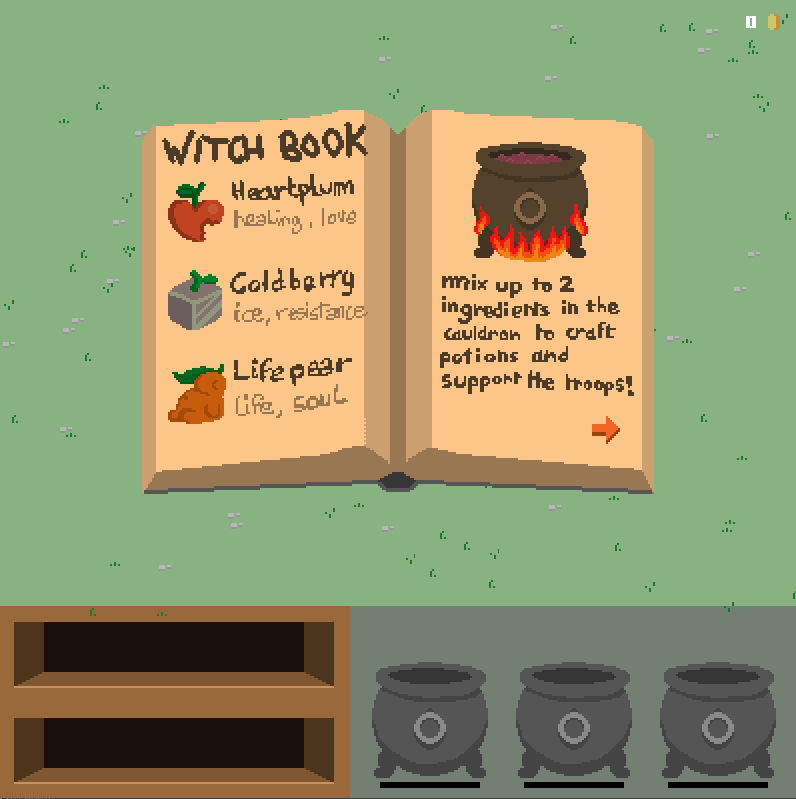 At least having more ingredients at the start would be good, so the player can experiment more. Thanks! Not right now, but I'm sure some of its ideas will inspire projects in the future. yeah, fits mobile really great, you're right. I really didnt know how to give the player the ingredients in a fun way, I went with that but I should have tried other stuff. Nice art, music and gameplay! My highest score is 66 83. I got to the 150ish points :) I'm glad you like it! Yeah, I just tryed to respect the theme, and also had no time for balancing. Nice job again! Man, I've rarely felt the feeling of satisfcation from mastering a game's mechanics from such a simple game like I did with yours. The experience of learning alchemy in an intense situation was pretty unique. Three types of ingredients were the perfect amount, and they were vague enough to feel like you were deciphering something with your spells. 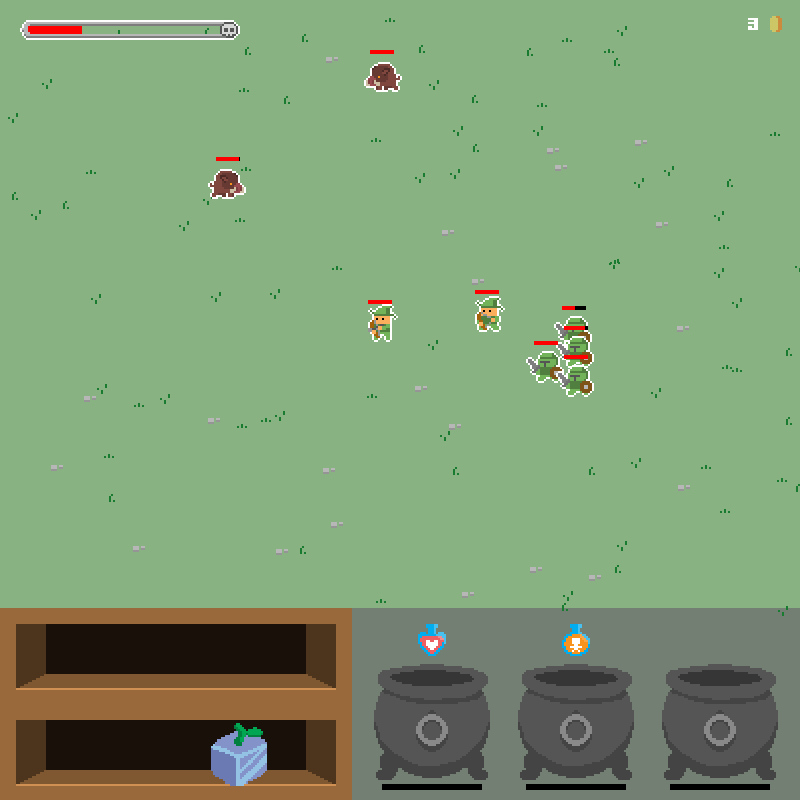 A minor suggestion would be to give a little loot drop animation of some kind to help inform the player that killing monsters is what gives you more ingredients. Also maybe add a guarenteed item every time interval so the player isn't ever stuck watching helplessly as his friends die from a very unlucky rng. Whoa thanks! I couldn't get the feeling of learning the recipes while testing, so I was scared gameplay would be boring and I was trusting on that to carry the experience, I'm glad it worked for you! Yeah, I had like 0 time to balance and not rely completely on RNG to make the game interesting. Gosh, I had so much more ideas, with 5 ingredients, buying more cauldrons and ingredient slots, buying troops, a recipe that resurrected troops to get those big comebacks... It's also true that there's too much time in the game where you're doing nothing, but I don't know how to solve that. This was the most fun game i've played so far and I really like the fect that you don't get too much ingredients. They don't, It's just that they spawn when you kill enemies, and when you're focusing the golem nothing is dying. You should try save some big potions to deal with each golem. I like the art! The only thing I would say for the game play would be when you get ingredients, I think you get them when an enemy dies(maybe), but even then you sometimes don't get some, and I find myself running out of ingredients fairly quickly. Or that's just my fault as a player and I need to find a strategy. Great Job! Yeah, sound is a big hole in my gamedev arsenal u.u I'm working on it but I'm so bad at it, nothing sounds right. How you get ingredients was a big design decision. i wanted the gameplay to be about making the most of what you got, and to align with the "scarcity" theme. You get them randomly when enemies die, and sometimes it's too punishing. I know that with some luck and some knowledge you can reach the 150ish points. Really enjoyed this! Art is gorgeous, potion mixing is fun!